The launch of a version of Skype running on Sony's PlayStation Portable (PSP) will still go ahead in Europe and the US later this month, despite a delay affecting the software's Japanese roll-out. PSP slim'n'light owners will get to use Skype’s VoIP application after they install an upcoming firmware update. However, Sony Computer Entertainment Japan (SCEJ) has canned tomorrow’s anticipated Japanese release of the Skype-enabling firmware because its microphones don't meet Skype’s specifications. SCEJ hasn’t said why the microphones, which will be sold as single or twin packs, haven't met with Skype’s approval. But Skype’s ruling has been enough to postpone the entire Japanese launch with no indication of when the firmware will be released in the region. However, a Sony Computer Entertainment Europe spokesman confirmed to Register Hardware the the end-of-the-month firmware release will go ahead for European and US gamers. 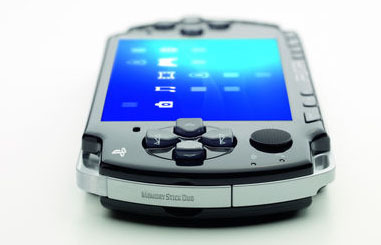 The bad news is that the company said earlier this month that only second-generation PSPs will get the Skype upgrade. So your old, flabby unit will need to shed some weight if you’re looking to use Skype. And at least this is one occurrence where Japan doesn’t get the technology first.